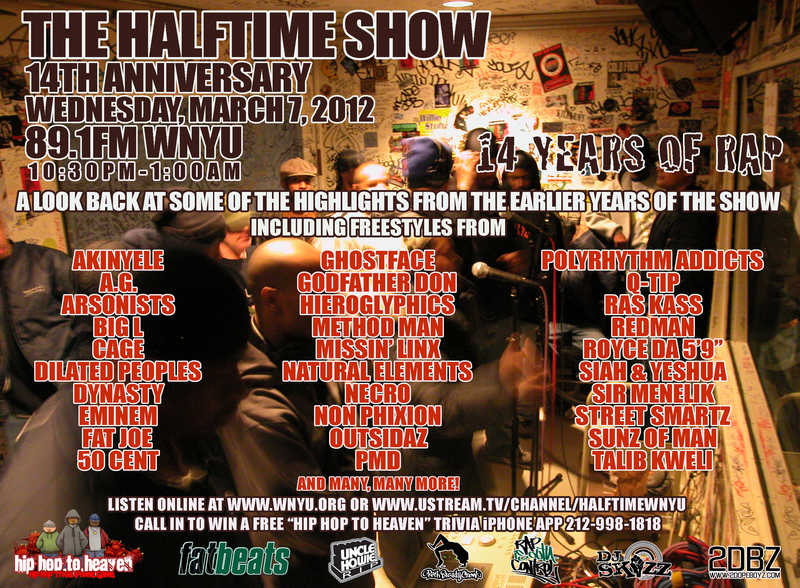 For the past 15 years The Halftime Radio Show has set the bar and become a rite of passage for breaking Hip-hop artists. It’s a place where people go to get the sound and the quality they have come to expect from NYC radio. After 15 years and outlasting many other shows of it’s caliber this is def a huge feat to celebrate. It’s a testiment that although how people consume music is changing, there is still a need and a niche for displaying the craft of Djing, freestyling and all the aestetics that drew most of us to Hip-Hop to begin with. 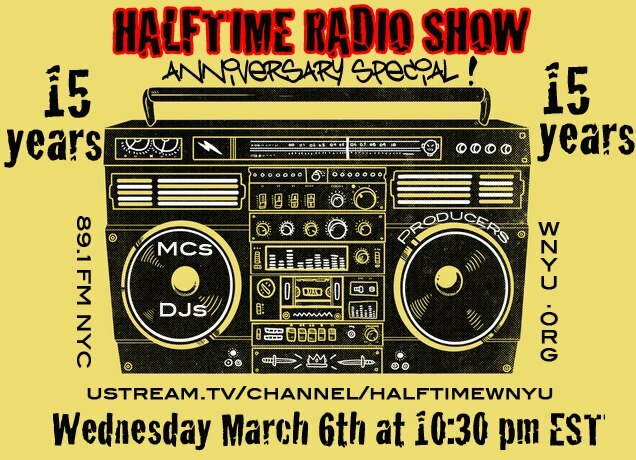 Tune in tonight as the crew celebrates it’s 15th Anniversary with a slew of legendary guests DJing, producing and spitting live from 10:30 pm – 1 am on 89.1 FM and on Ustream.